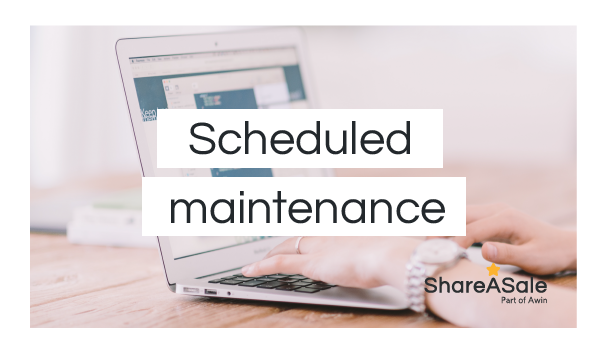 The ShareASale interface will be inaccessible from 8pm Central on Friday, January 25 to Saturday, January 26 for scheduled maintenance. Anyone attempting to access your account will see a maintenance page until the work is complete. API and datafeed processing will also be unavailable during this time, however, there will be no break in your affiliate channel linking and tracking. As soon as the work is complete, you will be able to access your account as you normally would. We apologize for any inconvenience this may cause and appreciate your patience as the scheduled downtime allows us to continue providing you with the high-level service that you are accustomed. Prepare in advance. Get a head start on any upcoming program needs during the schedule maintenance period by planning ahead. If you use the ShareASale API to automate order reconciliations, reporting, or other transaction changes, please make sure to alert your dev team that the ShareASale API will be down for maintenance during this period. We recommend running your API calls on the days following this maintenance period early next week. If you have any questions or concerns, please contact our Client Success team.